/mo for 12 months, then regular price applies. Available to new customers only. Speeds vary based on service address. Not available in all areas. 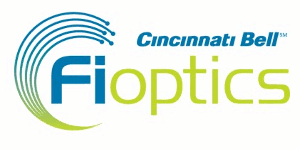 Cincinnati Bell Fioptics 10Mbps Internet & Fioptics Preferred TV Bundle includes 140+ channels (over 60 HD channels), plus blazing fast 10Mbps Fioptic internet service great for web surfing, checking email, downloading music and watching streaming videos. With download and upload speeds that smoke the competition you can browse online, share photos, download HD movies and experience the internet like never before! Get FREE activation & Installation with Fioptics TV & Internet when you order online! Limited-time offer. The availability of Fioptics TV and Internet service is dependent on service address. Offer available to new residential customers only, credit check required. Advertised bundle includes Basic and Preferred Tier channels plus high-speed Internet access (up to 10 Mbps). Fioptics Plus TV tier includes Basic and Preferred Tier channels only. Total price for Fioptics Preferred TV, High-speed Internet and Home Phone or Wireless option will revert to standard bundle rate after 12-month promotional period. Fioptics TV and access to HD channels requires a set-top box per TV up to an additional $7.99/month per box. High-speed Internet and TV subscription cancellation will result in equipment charge if not returned to Cincinnati Bell.